(CBS News) You may be at risk for shrinkage in areas of your brain that have been linked to dementia even if your blood sugar is just on the high end of the normal range. "Numerous studies have shown a link between type 2 diabetes and brain shrinkage and dementia, but we haven't known much about whether people with blood sugar on the high end of normal experience these same effects," study author Dr. Nicolas Cherbuin, chief investigator at the Eccles Institute of Neuroscience at Australian National University in Canberra, said in a press release. Higher levels of blood sugar for long periods of time can lead to diabetes, which affects more than 346 million people worldwide according to the World Health Organization (WHO) . A fasting blood sugar level of 10.0 mmol/l (180 mg/dL) or higher means a person has diabetes, and at a level of 6.1 mmol/l (110 mg/dL) a person is considered to have developed prediabetes or to have an impaired blood sugar level. Diabetes is predicted to become the leading cause of death around the world by 2030. When a person has diabetes, their pancreas cannot produce enough insulin, which is a hormone that regulates blood sugar, the WHO explained. People with Type 1 diabetes do not produce enough insulin and require daily doses, while type 2 diabetes - which accounts for 90 percent of diabetes patients - results from a person's body not using insulin effectively. All the forms (including Impaired glucose tolerance (IGT), impaired fasting glycaemia (IFG) and gestational diabetes) increase the risk of heart disease and stroke by 50 percent, can cause kidney failure in 10 to 20 percent of diabetes patients and can cause damage to the nerves in up to 50 percent of diabetes cases. 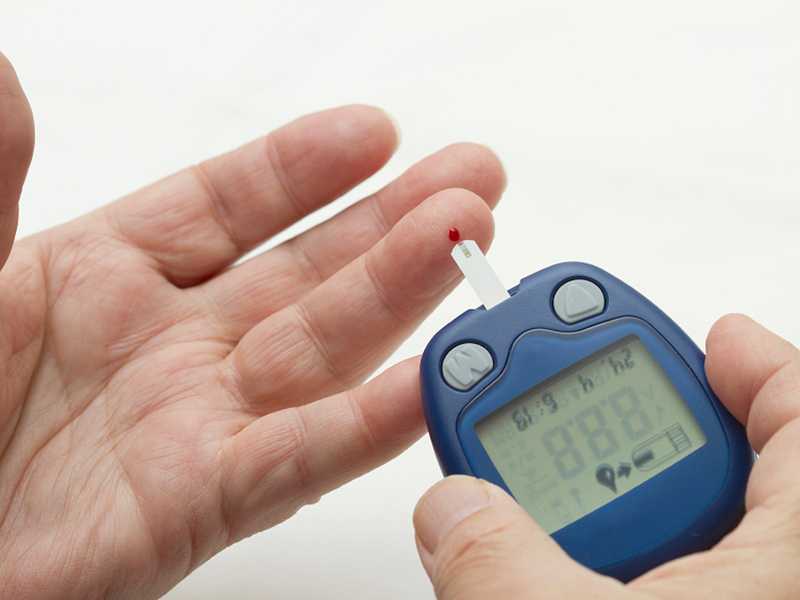 For the study, which was published in the Sept. 4 print issue of Neurology, researchers looked at 266 people between 60 and 64 who had blood sugar in the normal range of below 6.1 mmol/l (or 110 mg/dL) while fasting. Brain scans were taken at the beginning of the study and then on average four years later. Individuals who were considered to have high normal blood sugar levels - meaning below but close to 6.1 mmol/l (110 mg/dL) - had more brain loss in the hippocampus and the amygdala than those who had lower blood sugar levels. These areas are involved in memory and cognitive skills. Loss in brain function is characteristic of diseases of dementia including Alzheimer's, according to the National Institutes of Health. Six to 10 percent brain shrinkage was seen on average in individuals with high normal blood sugar after factors controlling for age, high blood pressure, smoking, and alcohol use among others were accounted for. "These findings suggest that even for people who do not have diabetes, blood sugar levels could have an impact on brain health," Cherbuin said. "More research is needed, but these findings may lead us to re-evaluate the concept of normal blood sugar levels and the definition of diabetes." Dr. R. Scott Turner, director of the Memory Disorders Program and a professor of neurology at Georgetown University Medical Center, said he believes the study results show that doctors should pay closer attention to a patient's blood sugar level. "This is in line with many other studies that have been published and adds to all of the data on diabetes affecting brain health," Turner told ABC News.